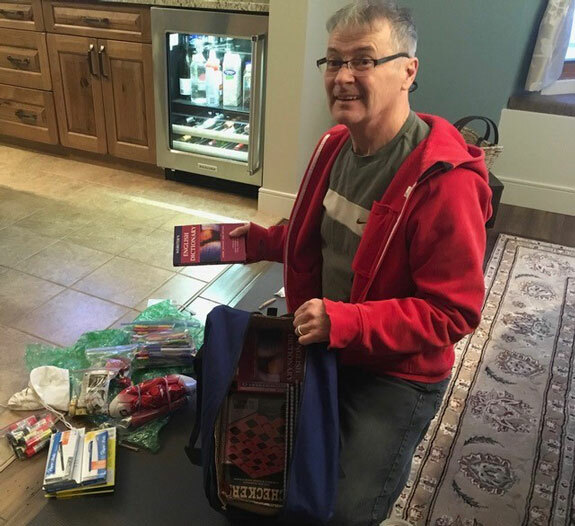 As part of a river cruise we were prompted to participate with Pack for a Purpose. A 7 kg bag of mainly school supplies and games with educational value. 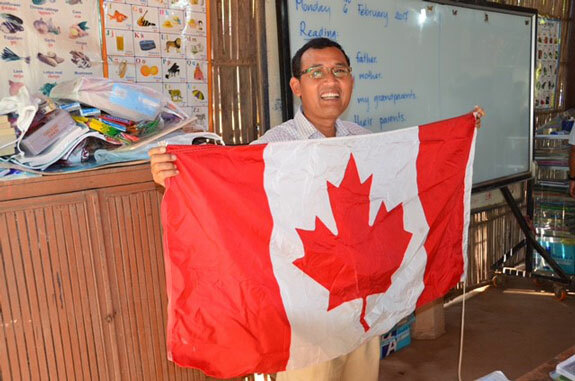 Our ship arrived ashore on the Mekong River at Angkor Ban a very small village with only one school in it. We walked through the maze of dirt roads arriving at the school full of excited, vibrant children. 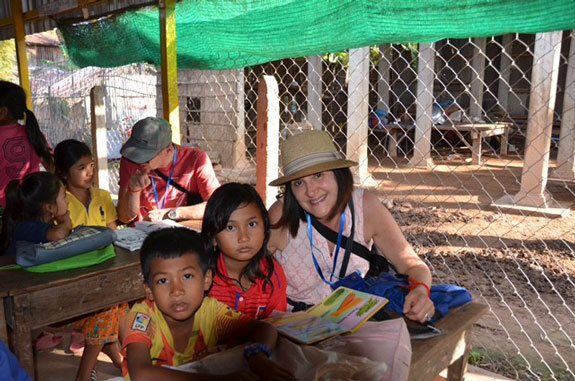 Our donation was gladly received by the teacher, and the children were very open and accepting of our presence. Each member of our group sat with two children as they eagerly practiced speaking English with us and proudly displayed their spelling as well. After we did some additional upfront English lessons it was time to head back to the ship. The entire 1.5 hour experience was one of our major highlights of the entire trip.